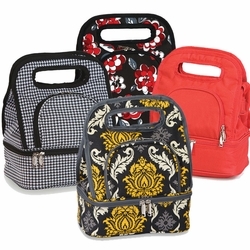 The NEW Razz Lunch Tote from Picnic Plus is stylish enough to take with you everywhere you go and large enough to hold a generous lunch portion or snacks on the go. 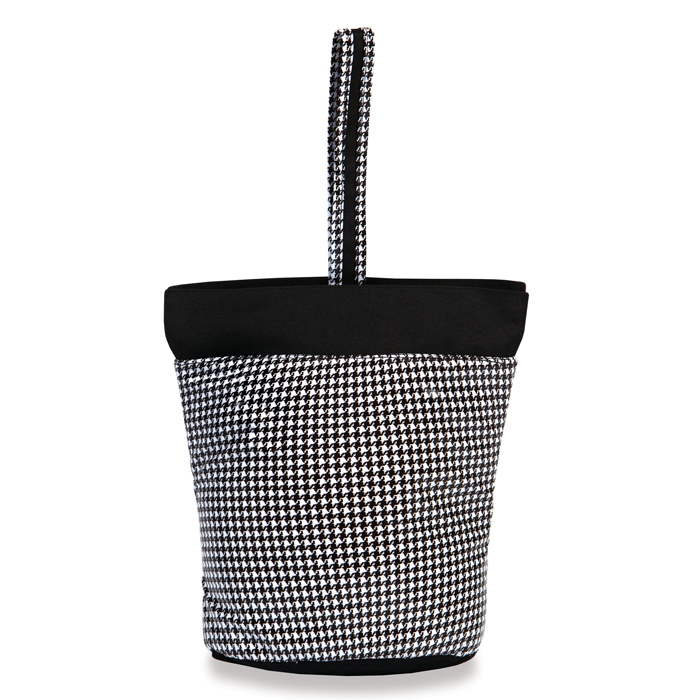 It features a laminate coated exterior and PEVA insulated leak proof interior which easily wipes clean. 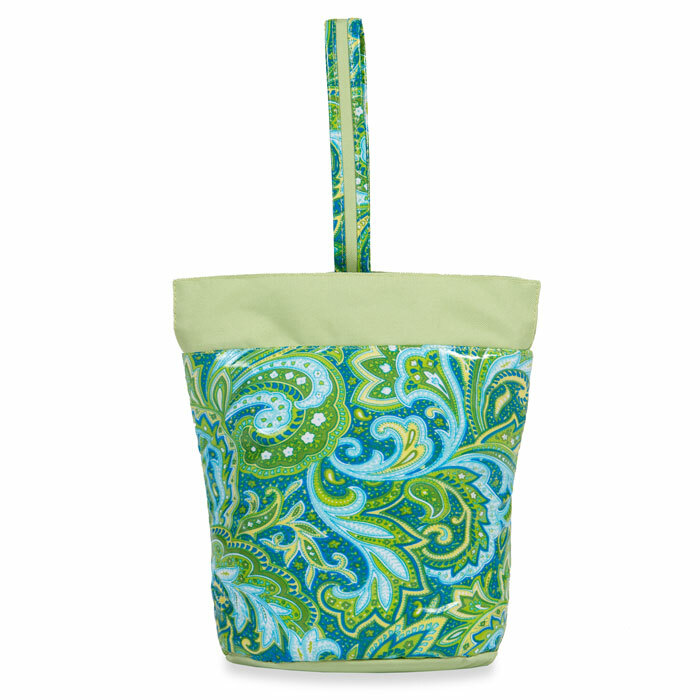 This insulated lunch tote will keep your food, drinks and/or snacks cold for hours. 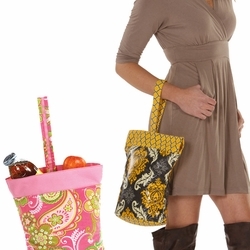 The looped wristlet style handle allows for easy or hands free toting. 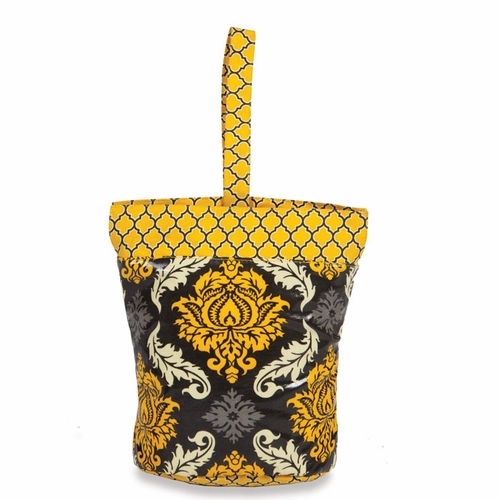 There is a hidden pocket to hold smaller items. 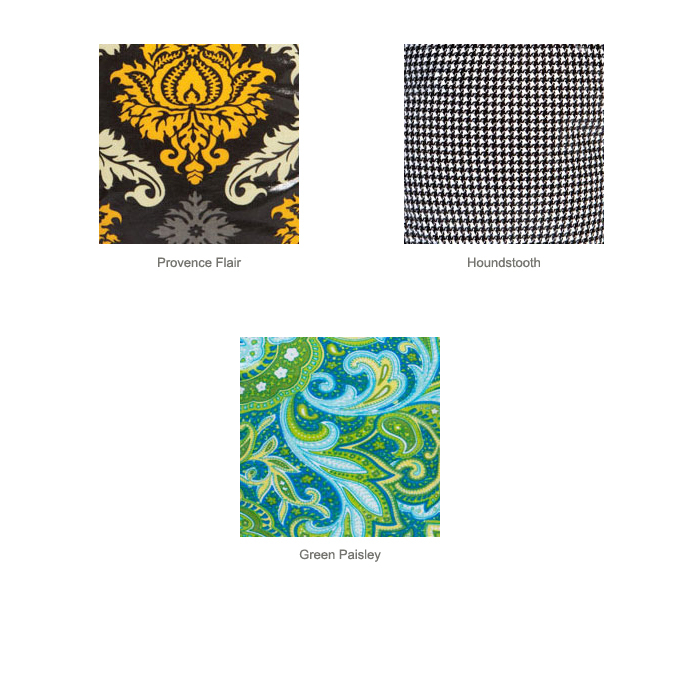 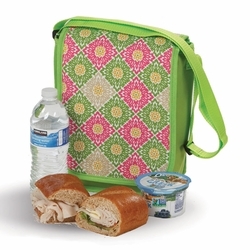 You can choose from several stylish patterns as well as the option to have your Razz Lunch Tote personalized with a name, initial or monogram. 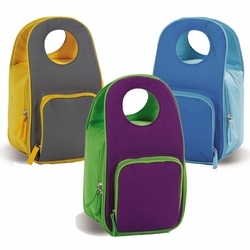 Not only is this a stylish and clever insulated lunch bag, it is large, measuring a full 11 inches high!